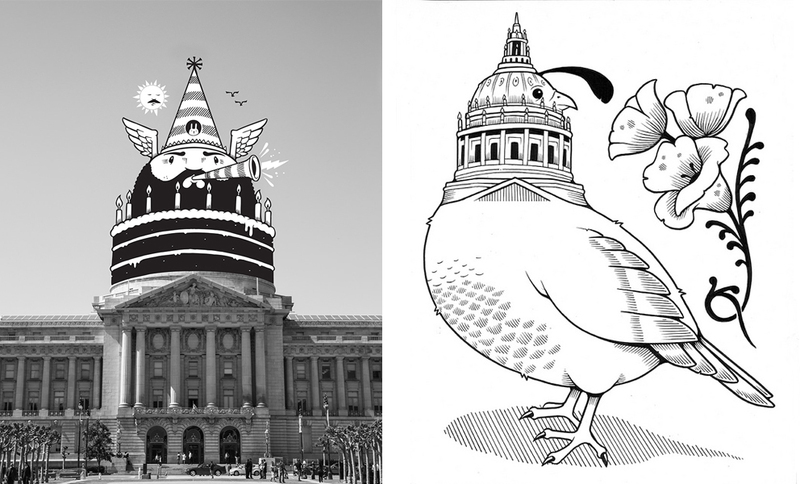 On the occasion of San Francisco City Hall’s 100th anniversary, the San Francisco Arts Commission Galleries commissioned 100 drawings by North Beach resident and internationally renowned artist Jeremy Fish to commemorate this landmark occasion. 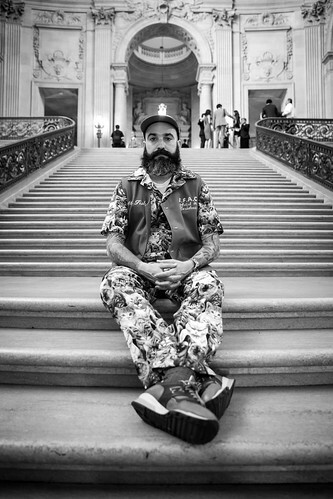 In the months prior to his exhibition, O Glorious City, Fish became the first-ever SFAC Galleries’ Artist in Residence at San Francisco City Hall. Beginning in July 2015, Fish began working in a room just off of City Hall’s South Light Court. During his residency, Fish observed the day to day activity of City Hall, got to know the employees that work in the building, spent time with the City Hall historian, and attended public meetings. He became interested in how both City employees and the general public interacts with the structure—from tourists there to take pictures, to couples getting married, or City Supervisors and Clerks rushing off to public meetings. O Glorious City featured 100 drawings and photographic collages about City Hall, San Francisco, and the people that make the city special. This project also resulted in a book published by Chronicle Books, Inc.